Arghhh! I found them as soon as I posted the last entry. 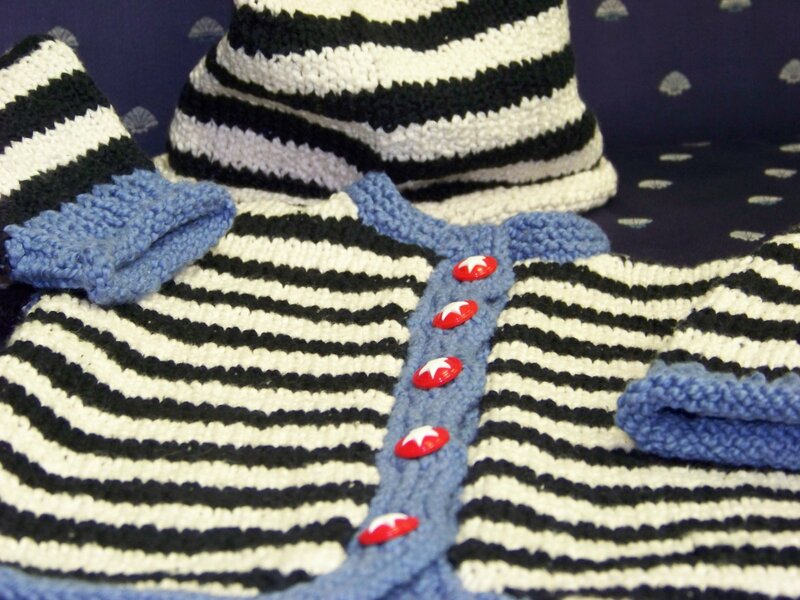 Anyway here are the shots of the newest baby sweater pictures for my friend’s daughter’s baby boy, Jude. His mother lost a little girl almost a year ago so he really is taking a “sad song and making it better.” to quote his grandmother. Mother and baby are doing fine. My friend told me everyone keeps telling them they will be exhausted by the crying. She doesn’t think that will every happen, it is a joyous sound to them. She also told me how important it was when they lost Chloe, their first child, to have the blanket, photos and memory box that the hospital sent home with her daughter. She said projects like the Wrapped in Care Project are very important to these mothers. Many friends and family donated to the local care project when Tasha lost Chloe and they used this money to buy a new digital camera to take the photos. So money is always useful too. 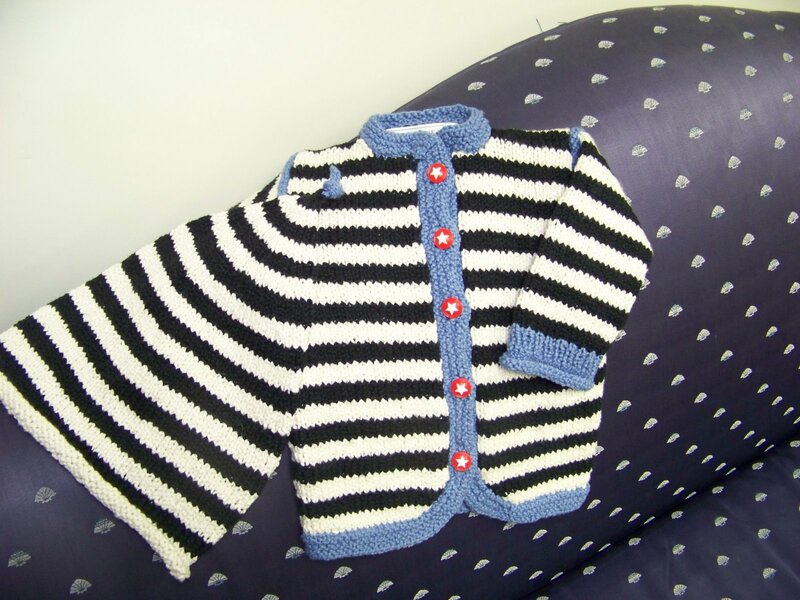 I love how the sweater turned out – the blue trim is great and starry buttons are perfect. Surely will ‘make it better’ keeping Jude warm, and warming hearts.